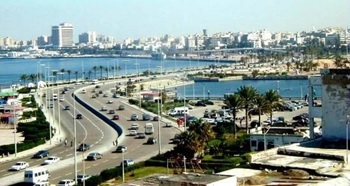 A 6-day ToT Pre-Training Programme for Libyan SME Experts took place in Tripoli, Libya between 19 and 24 January 2019, under the BINA SME Develop Project carried out in partnership between the Statistical, Economic and Social Research and Training Centre for Islamic Countries (SESRIC), the Islamic Development Bank (IsDB) and the Libyan Program for Reintegration and Development (LPRD). The ToT Pre-training included an orientation on BINA SME Develop Project; introduction on entrepreneurship training; why and how to model; networking and partnerships; value design stages; entrepreneurship motivation and behavior; macroeconomic effects, etc. The most successful participants will attend a specialized SME ToT Training that will be held at the BINA SME Incubator in Istanbul, Turkey. Following the conclusion of the training, the experts will serve as mentors for Small and Medium-sized Enterprises (SMEs) in Libya, as part of the BINA SME Develop Project.